Did George Zimmerman get away with murder? No. Juror B29 is being framed. The media are reporting that a juror says Zimmerman is guilty of murder. That’s not true. 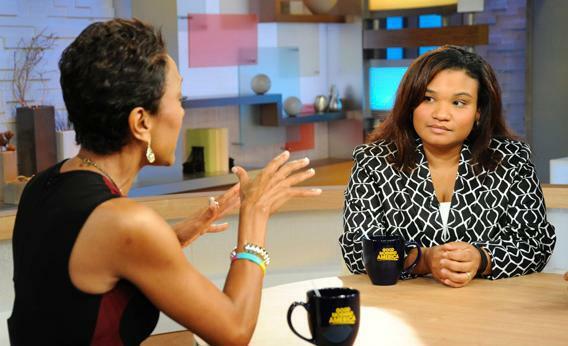 Robin Roberts interviews Juror B29, the only minority juror from the George Zimmerman trial, on an episode of “Good Morning America” that aired July 26, 2013. 2. She stands by the verdict. ABC’s online story about the interview ends with Maddy asking, “Did I go the right way? Did I go the wrong way?” But that’s not the whole quote. In the unedited video, she continues: “I know I went the right way, because by the law and the way it was followed is the way I went. But if I would have used my heart, I probably would have [gone for] a hung jury.” In another clip, she draws the same distinction: “I stand by the decision because of the law. If I stand by the decision because of my heart, he would have been guilty.” At one point, she says that “the evidence shows he’s guilty.” Roberts presses her: “He’s guilty of?” Maddy answers: “Killing Trayvon Martin. But as the law was read to me, if you have no proof that he killed him intentionally, you can’t say he’s guilty.” That’s the distinction she’s trying to draw here: Killing is one thing. Murder or manslaughter is another. The value of colorblindness is controversial. Some people believe that when you don’t talk about race in a case such as this one, you’re excluding racial bias. Others believe that you’re simply overlooking that bias. But Maddy’s comments indicate that sequestration worked. The jurors focused not on the meaning of the case to outsiders, but on the evidence and the law. 7. To the extent she feels racial or ethnic pressure, it’s against Zimmerman. In the Nightline video, Roberts notes that Maddy could have hung the jury. Roberts asks: “Do you have regrets that you didn’t?” Maddy pauses, tilts her head, and thinks about it. “Kind of. I mean I’m the only minority. And I feel like I let a lot of people down.” In the GMA version, Maddy’s reference to being the only minority has been seamlessly edited out. But this theme returns in other clips. “I couldn’t do anything about it. And I feel like I let a lot of people down,” she says. And again: “I feel like I let ’em down. We just couldn’t prove anything.” She feels the anger and the cosmic injustice. But they don’t change her legal judgment. 8. Acquittal is not personal—or national—exoneration. This is what she’s really trying to convey. “Maybe if they would put [out] the law, and a lot of people would read it, they would understand the choices that they gave us,” she says. The tragedy of the case, and the long-standing sense of racial injustice that surrounds it, shouldn’t and didn’t dictate the verdict. But by the same token, the verdict doesn’t absolve the tragedy or the injustice. “I want Trayvon’s mom to know that I’m hurting,” says Maddy. “And if she thought that nobody cared about her son, I can speak for myself. I do care.” And it’s not just about the Martins. “There’s no way that any mother should feel that pain,” says Maddy. In another clip she adds, “My hope is that we stop walking around looking at color.” Martin’s mother, in a statement responding to Maddy’s interview, says the case “challenges our nation once again to do everything we can to make sure that this never happens to another child.” Amen.